Abu Dhabi: Members of the Federal National Council on Wednesday passed a federal draft law regulating the practice of human medicine. The draft law applies to anyone who engages, or requests to practise the profession of medicine across the country, including free zones, and aims to protect society from illegal medical practices. 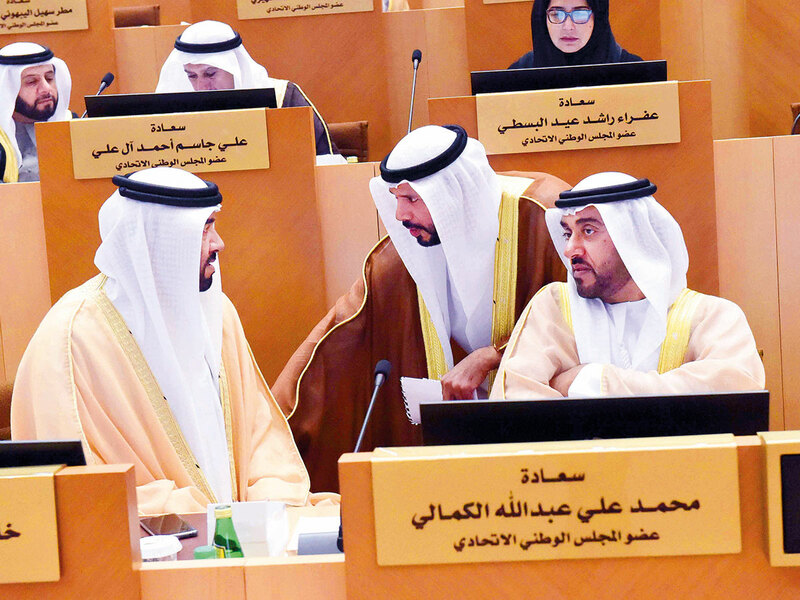 No person may practise the medical profession, unless accredited by that health authority, according to the new legislation, which requires signature of the President His Highness Shaikh Khalifa Bin Zayed Al Nahyan to become a law. The law spells out conditions that must be met by the applicant for the licence, the procedures for requesting the licence and the appeal against the rejection of the application as well as cases for revoking the licence. The Ministry of Health and Prevention and other health authorities have their own register of licensed physicians’ data. Under the law, the applicant for practising the human medicine profession should be a physician holding a certificate of the human medicine (a Baccalaureate degree) earned from one of the accredited faculties of medicine and should have also accomplished his training period after holding this certificate. The draft law states that the resident doctor is subject to the licensing regulations specified in the executive regulations. The trainee physician must be insured against civil liability for medical errors. The ministry shall issue the Code of Ethics in coordination with the health authorities. The law spells out seven offences, including practising the profession in an unauthorised place, except in cases determined by the regulation, selling drugs or samples to patients, and earning any income from any pharmacy, laboratory, other doctor or medical facility to take advantage of their services. According to the draft, a person who carries out the medical profession without obtaining a licence or submits false data resulting in obtaining a licence, will have the licence and the medical designation cancelled. The offending physician will also face a prison term and a fine of not less than Dh200,000 and not more than Dh2 million. The offenders will be removed from the doctors register. A fine of not less than Dh20,000 and not more than Dh1 million shall be imposed on any doctor who contravenes the provisions relating to the medical report and medical file regulations. Disciplinary sanctions include a temporary suspension of the licence to practise the profession for a period not exceeding one year and the revocation of the licence. A person who has been issued a disciplinary sanction may appeal to the grievance committee within 15 days from the date of his knowledge of the decision. The draft law shall be published in the official gazette and will take effect 30 days after publishing. The executive rules of the law shall be issued six months after having it published in the official gazette.